With each new MLB season we look for players whom we expect to reemerge after disappointing past performances, and there have been quite a few this season already and it’s not even June. The following players are already making a strong case for their League’s Comeback Player of the Year Award. After a highly promising rookie campaign that helped the Mets shock the NL and reach the World Series, Michael Conforto seemed to be the next great Met. But a sophomore slump plagued him, so much so that the Mets were forced to send him back to AAA. As a result, Conforto played in just 109 games and batted only .220. This season the 24-year-old has returned with a vengeance, batting .320 with 13 homers and 33 RBI through the first two months. The Mets are struggling something fierce currently, but Conforto is blossoming. Keuchel’s Cy Young and Correa’s Rookie of the Year performances in 2015 helped the upstart Astros reach the playoffs for the first time in 10 years. However, both players fell hard last season and Houston fell off the map as a result. Reinvigorated by the offseason acquisitions of Brian McCann and Carlos Beltran, the Astros have launched in 2017. Keuchel currently leads the AL in wins and is second in ERA while Correa is batting .311. The Astros currently boast baseball’s best record (36-16, .692 W%), and the resurgence of the other two-thirds of their core has been the reason. Wow is about all I can say about the year that this guy is putting together. At 34, Santana currently leads the AL in ERA (1.75), BAA (.140), and IP (77) while his 7 wins are second. For a guy who has battled injuries and was suspended for PED usage, this is truly remarkable. If the All-Star Game was tomorrow, Santana would more than likely get the start for the AL, he’s been that good for a team that is also turning heads in Minnesota. If he keeps it up, Santana could be your Cy Young winner as well. 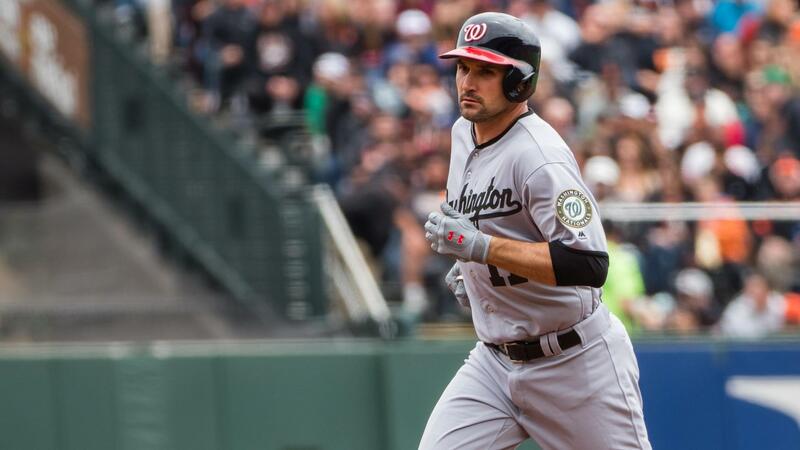 Before the emergence of superstars Stephen Strasburg and Bryce Harper, Ryan Zimmerman was about the only good thing that the Nats had going. After the aforementioned young guns established themselves, Zimmerman fell off the map and his name didn’t come up much. This year the 32-year-old is back and better than ever, batting a whopping .374 with 40 RBI. However, Harper is not taking a backseat after his MVP hangover 2016, batting .331 with an NL leading 15 homers. Washington’s impressive 2016 campaign ended disappointingly in the NLDS, but the team hasn’t missed a beat thanks to these two. Grienke’s follow up to the 2015 season, in which he finished as runner-up for the Cy Young Award, did not go smoothly at all. He struggled to adjust to pitching in the desert and his first season with the D-Backs did not go well, recording an uncharacteristic 4.37 ERA. The 3x All-Star has returned strongly this year, currently 6-3 with a 3.24 ERA and 84 Ks. The Rattlesnakes are in the thick of an airtight race in the NL West and could be a contender with Grienke and Paul Goldschmidt leading the charge. A few seasons ago, if asked, most MLB fans would say “who is Eric Thames?” The first baseman struggled in his first few seasons and left to play for the NC Dinos of the Korean League, which proved to be a great choice. Thames tore it up in Korea and has done the same since returning to the MLB with Milwaukee, hitting 13 home runs so far. He has cooled off as of late, but it is still evident that Thames is a new man and a major homer threat for the Brew Crew.